Not every smartphone user likes playing challenging games, some of these users like playing casual and fun games on the go. One of the best genres you can choose is certainly the adventure games. These games can offer you endless fun and excitement if you know how to choose the right game. To help with the search, we researched and discovered one incredible adventure running game that offers you all that – Giant Robot Adventures. Let’s see what the game offers. This casual adventure game is developed on android platform, very addictive and fun and suitable for both adults and kids. The players will enjoy the HD and gorgeous graphics with the simple and user-friendly interface while they run and jump, all of that backed up with catchy and immersive music. The simple on-screen controls for moving and jumping are helping the player to easily control his cool robot character while he tries to run against the weirdest and ugliest creatures. Players will have fun while they try to run as far as possible to win the highest scores. Giant Robot Adventures and its amazing features will get each player addicted to this game very quickly. The players have only one simple task to do and that is to by using the on-screen control to run and move their robot, running against the weirdest and ugliest creatures, trying to escape them. 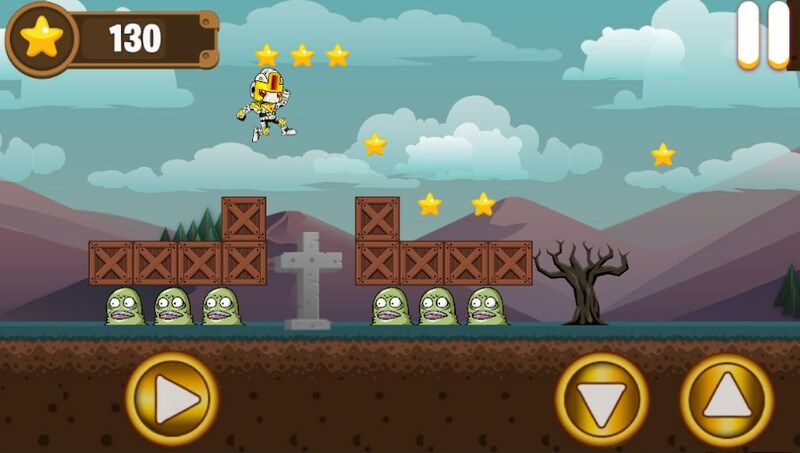 The player needs to run and outrun the creatures and avoid also all obstacles in his ways that may finish his game if he is not careful. The ability to double jump and slide is also offered. On the way of the player, there will be many stars that need to be collected and as much of them, the player collects more scores for him. Each player that collects as many stars as possible and gets as far in the game as he can get the highest scores. With a game center, the player gets his chance to reach the leader-board and compete against others to see which one of them is the best player of this amazing adventure and running game. Download this game on Google Play for free and try to outrun the creatures with your cool robot!